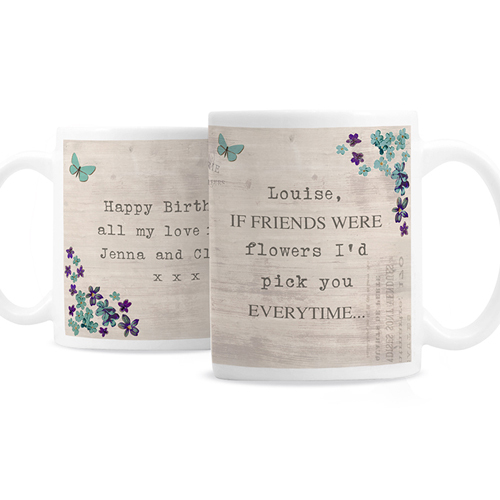 The front the Wooden Floral Mug can be personalised with 5 lines of 20 characters per line to the front, lines 2 and 5 are in upper case. On the back you can write a message of up to 4 lines of 20 characters per line. Personalise with 5 lines of 20 characters per line to the front, lines 2 and 5 are in upper case. On the back you can write a message of up to 4 lines of 20 characters per line.